The R&S®NRX simultaneously supports up to four R&S power sensors and displays the results clear on the flexible configurable screen. The user interface with the touch screen based operating concept simplifies the operation. In addition function keys on the front panel provide quick access to the most important functions. The 5" TFT color display supports the intuitive, window based operating concept. Key parameters and functions are color-coded and can be seen at a glance. Results are presented in numerical and graphical display windows that can be easily configured. Function keys on the front panel provide quick access to the most important functions. 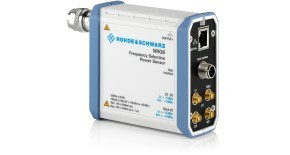 Users can open the frequency setting menu or zero the connected sensors at the push of a button. 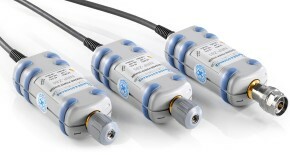 The R&S®NRX simultaneously supports up to four power sensors of the R&S®NRP family and R&S®NRQ6. 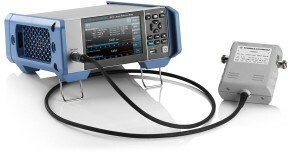 The R&S®NRX standard configuration includes one measurement channel. 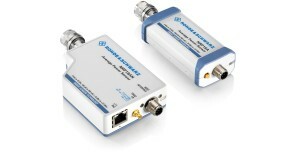 The base unit can be optionally expanded to two or four measurement channels. 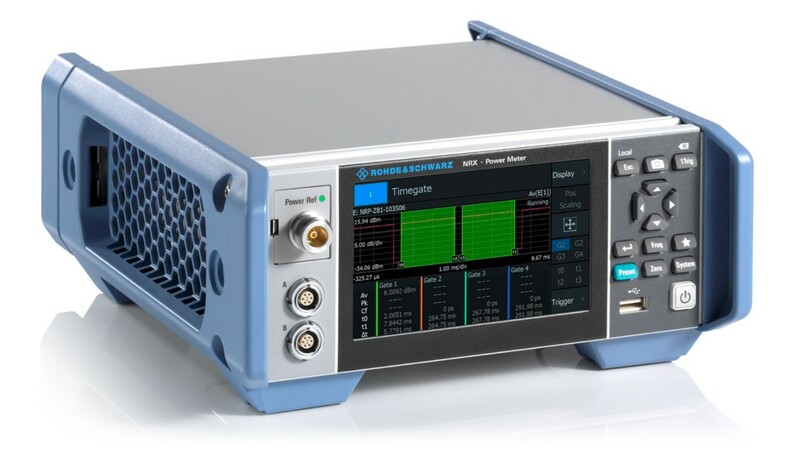 In the continuous average, burst average, timeslot and time gate average measurement modes, up to four numerical results can be displayed in parallel. Calculated values as ratio, SWR, return loss and reflection coefficient can be displayed in addition to the absolute and relative power level. 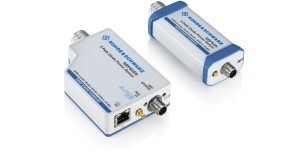 All R&S®NRP-Z8x wideband power sensors allow automatic pulse analysis. 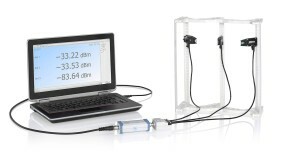 Up to 12 of 18 user-selected pulse parameters can be displayed in addition to the measurement trace. 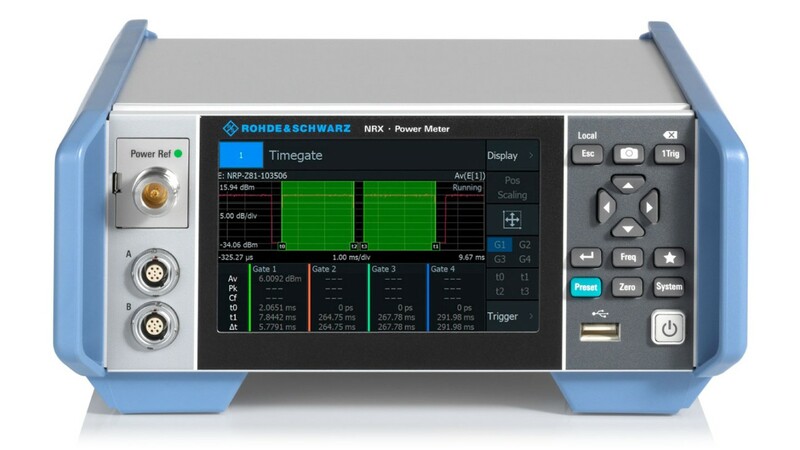 An optional high-precision 50 MHz/1 GHz reference source module (R&S®NRX-B1 sensor check source) can be used in CW mode to check the function of all R&S®NRP power sensors. 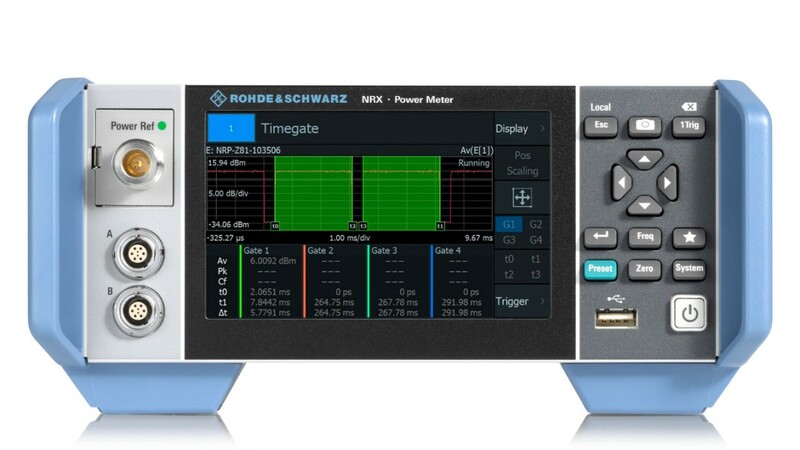 In pulse mode, the test generator can be used to check the pulse measurement performance of the R&S®NRP-Z8x wideband power sensors or the R&S®NRQ frequency selective power sensor. The R&S®NRX optionally provides the R&S®NRX-B9 interface for the R&S®NRT2 directional power sensors. The R&S®NRX supports all the measurement functions of the R&S®NRT-Zxx directional power sensors as the R&S®NRT2 power reflection meter. The large, user-friendly touchscreen simultaneously displays the forward and reverse power. 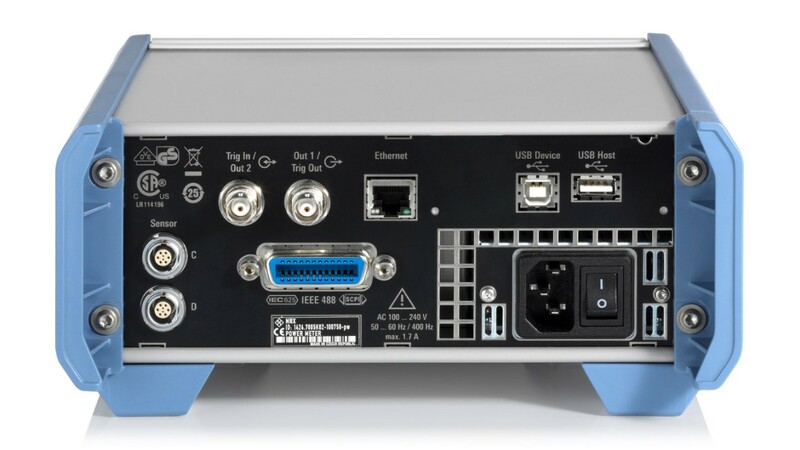 The R&S®NRX provides three different remote interfaces for integration in automated test setups: Ethernet, USB and optionally GPIB (R&S®NRX-B8). A trigger input on the rear panel permits external triggering for synchronized power measurements. 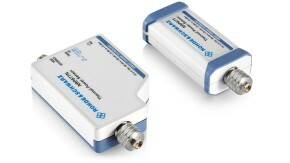 A level-proportional voltage or a digital signal for limit monitoring can be output via BNC connectors.